Famous Arabic language news channel Al Jazeera‘s official website was hacked and defaced by Syrian Hackers last week leaving deface page in support of Syrian regime. Aljazeera is owned by Qatar Media Corporation and and has its headquarter by Doha, Qatar. Al Jazeera is a famous Arabic-English news channel and was launched on 1 November 1996. 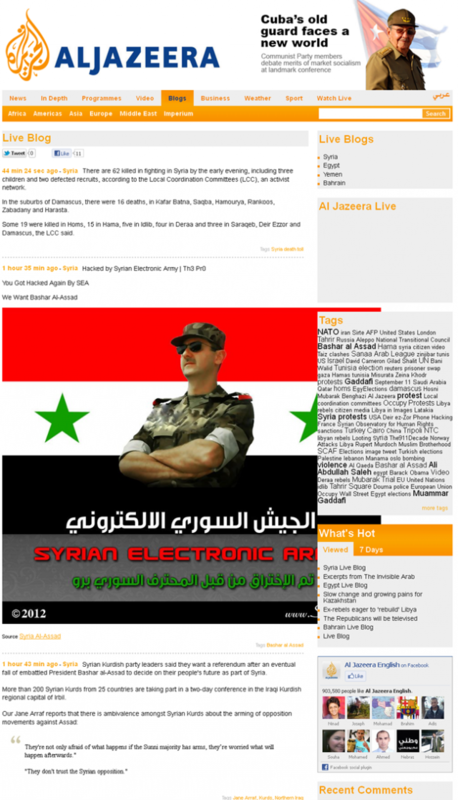 The group which calls it self The Syrian Electronic Army hacked the site claims that Al Jazeera is biased towards Syrian Government specially President Bashar al-Assad.